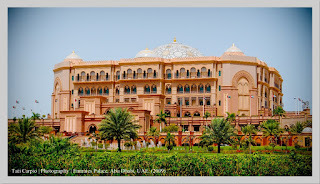 Emirates Palace Hotel is located in Abu Dhabi, the capital city of United Arab Emirates. 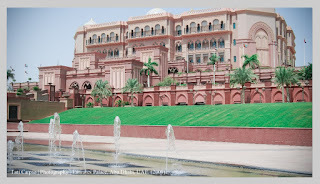 It offers luxury service and with the latest technology. 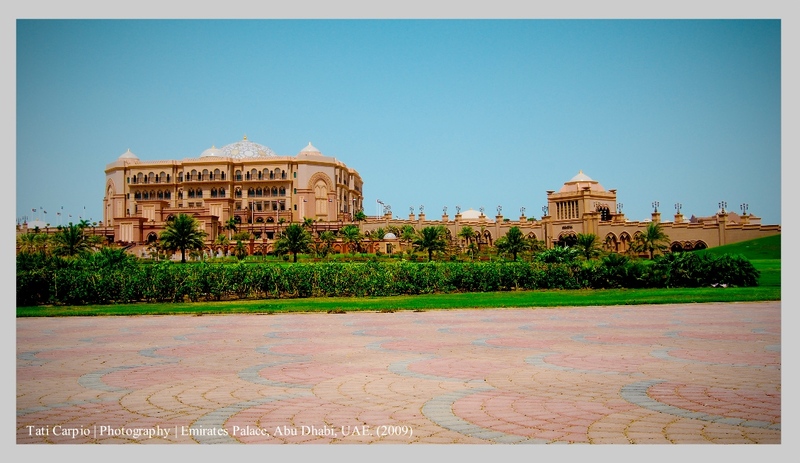 My friends and I visited Abu Dhabi on 2009 hoping to capture some good images to able to join the photo competition. It was September and it's really hot. 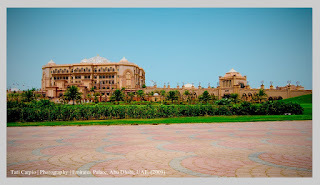 The staff told us that we can have a quick picture of the Palace and so we took advantage. 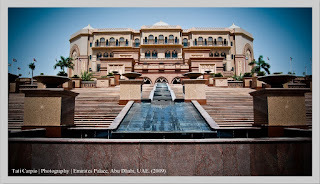 I won’t be able to show you what’s inside the hotel, as I only got a chance to take a picture from outside. I heard that this hotel provides a variety of luxurious services and good for vacation with family, business meetings or international conference. 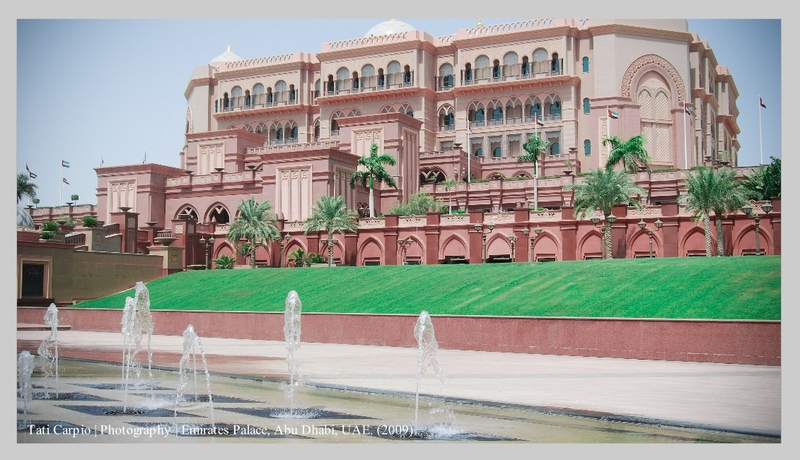 Emirates Palace is surrounded by 85 hectares of landscaped gardens. 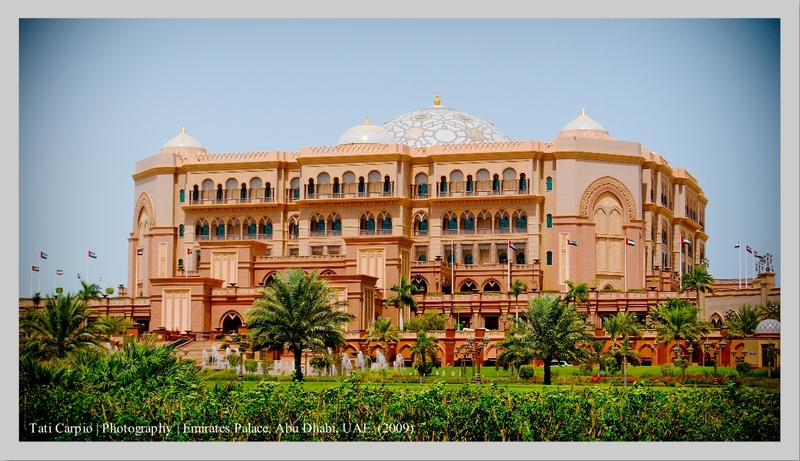 30 minutes drive from Abu Dhabi airport and 1 ½ hours drive from Dubai airport. What I love in this country, they have been developing it with all the "best" that we can imagine. 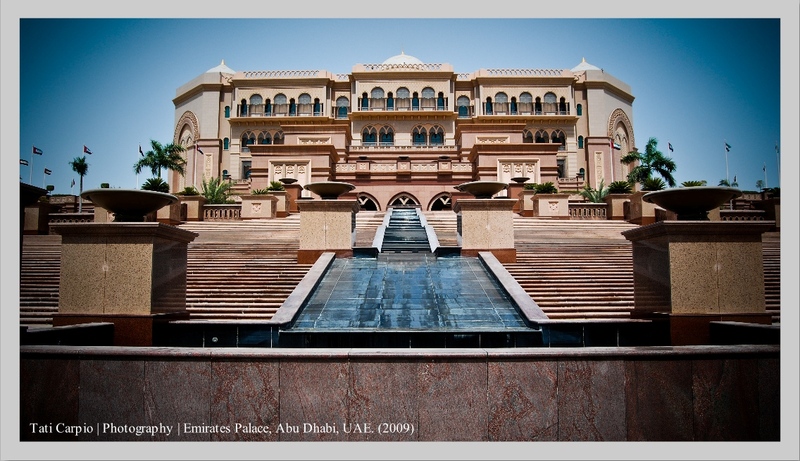 I hope someday, I'll be able to sit and relax in this luxurious hotel.